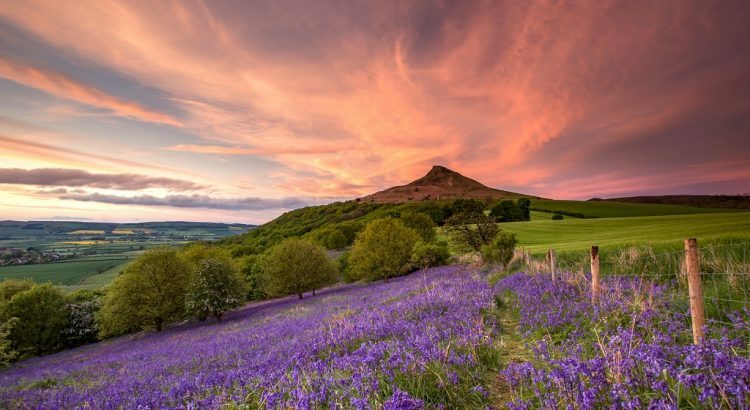 For the second year running I headed up to the bluebell woods at Newton-under-Roseberry in the North Yorkshire Moors National Park. 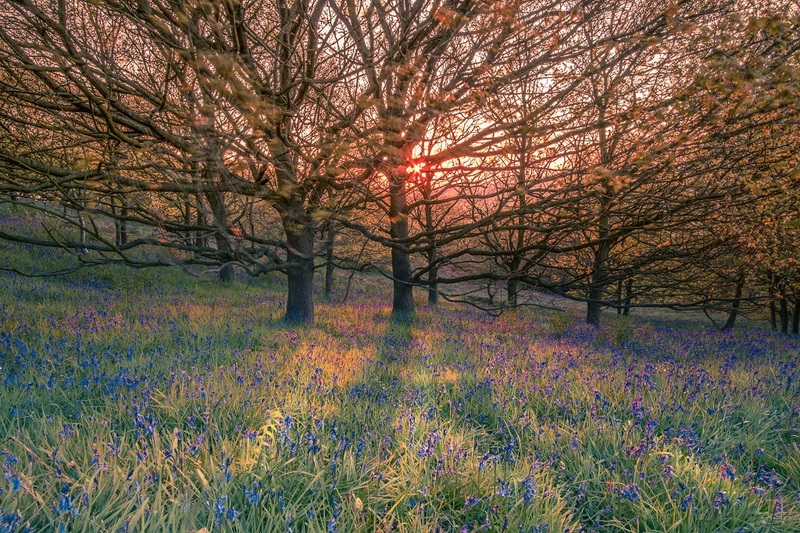 It is one of the best bluebell locations in the area and an amazing sight at the height of May. 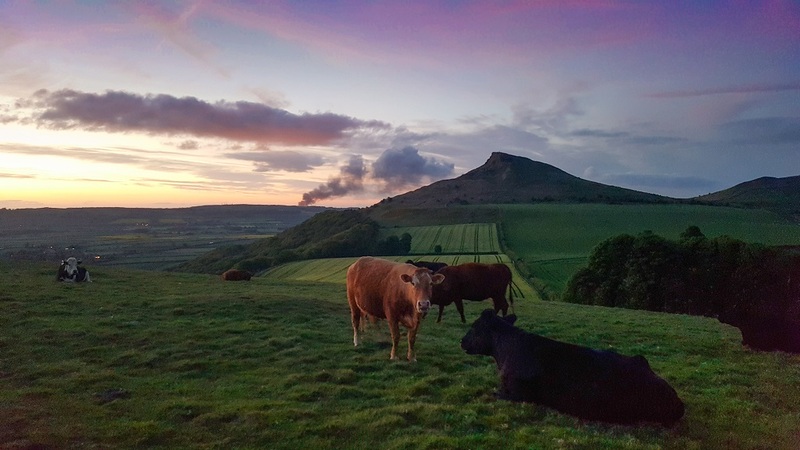 The sun sets across the scene looking towards Roseberry Topping and Little Roseberry, local landmarks and a natural photo composition. This all means of course that it is also a good place to meet other photographers! 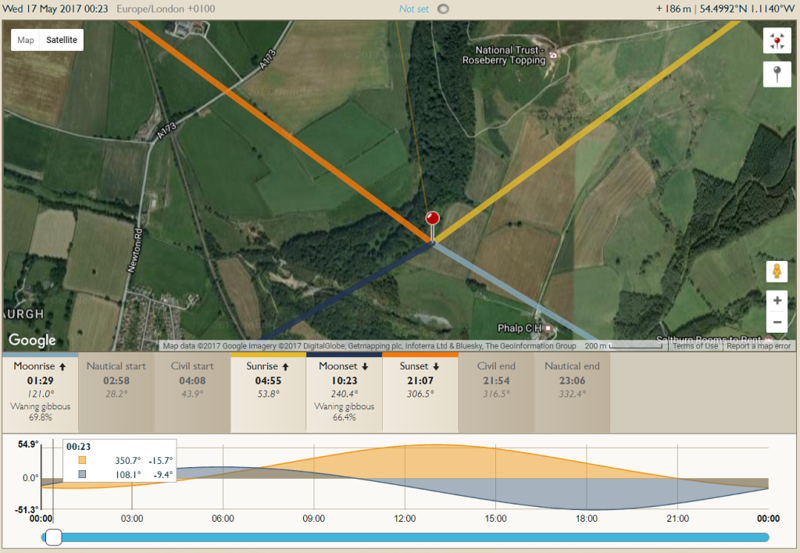 I did a bit of research with the Photographer’s Ephermeris to check out the lighting of the scene, sunset times and angles. Head through Great Ayton towards Gribdale passing the train station. 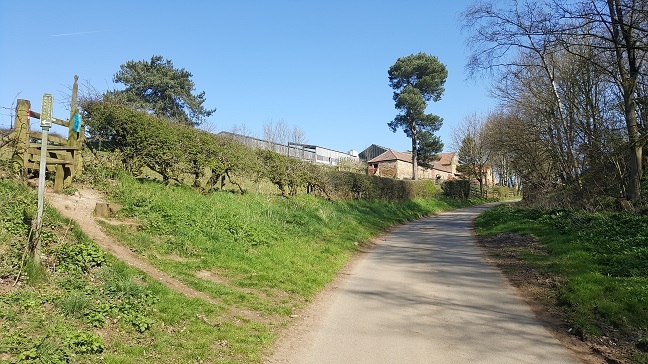 Before the road narrows between two houses, turn left up Aireyholme Lane towards Aireyholme Farm (Childhood home of Captain James Cook, discoverer of Australia). 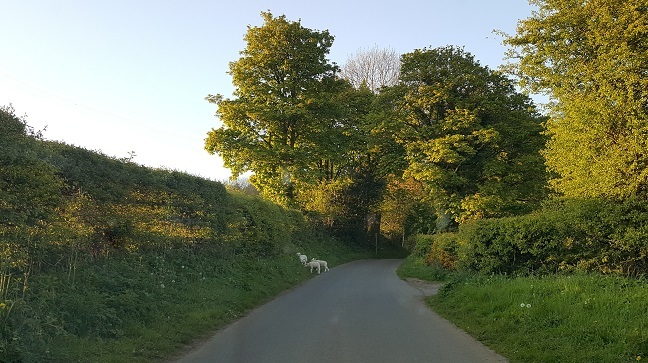 Aireyholme Lane, watch out for escapee lambs up to mischief! A couple of beeps set them charging off back into the field where they came from. 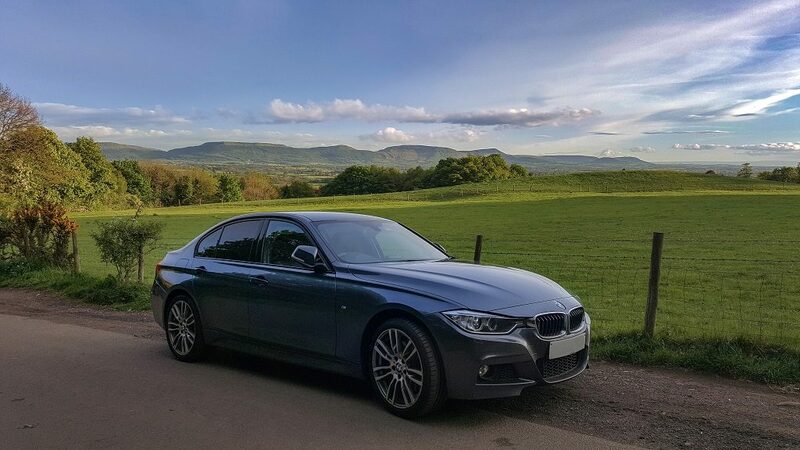 Free parking is available in one of the spots along the left-hand side of the road before reaching the farm. Walk up Aireyholme lane towards the farm and then take the stile up a steep bank on your left. Take the stile at Aireyholme Farm, steeper than it looks when climbing off that stile with photo gear! 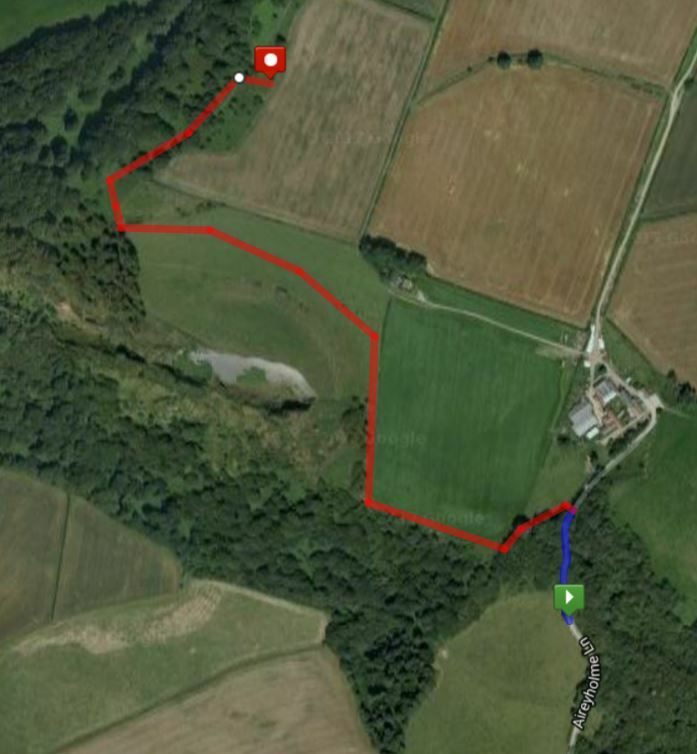 Follow the path straight on over two further stiles then turn right and follow the path around the base of the hill. 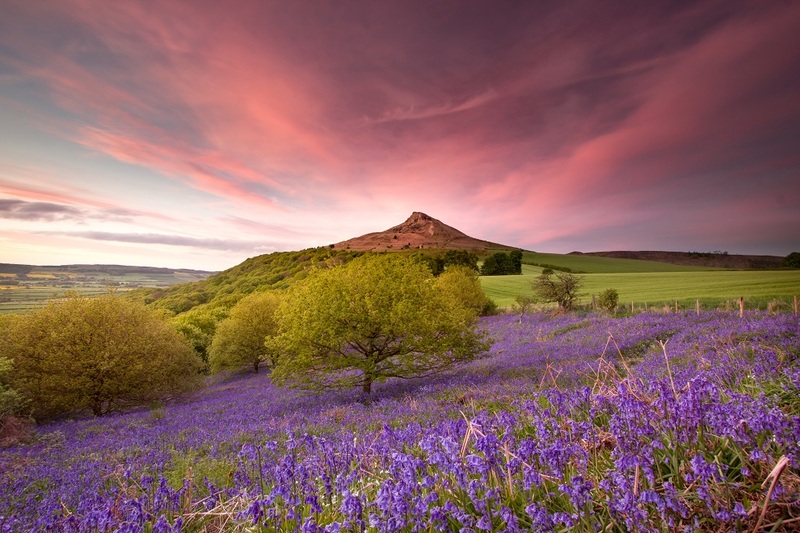 Roseberry Topping Bluebells – Directions – Route 1, flatter route. 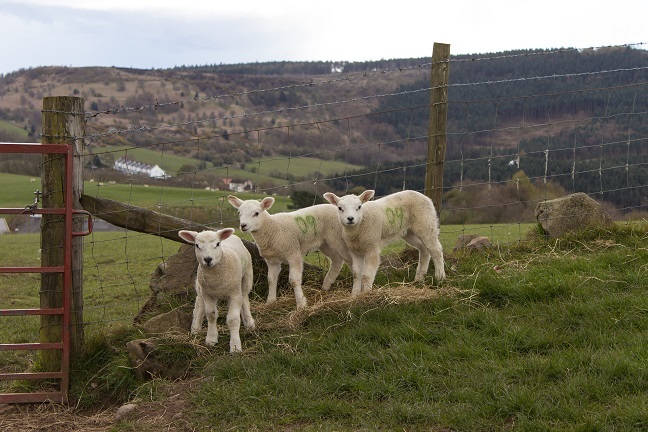 Route 1: Gamboling spring Lambs at Aireyholme Farm, Roseberry Topping with Gribdale Terrace and Cockshaw Hill in the background. Spring 2016. 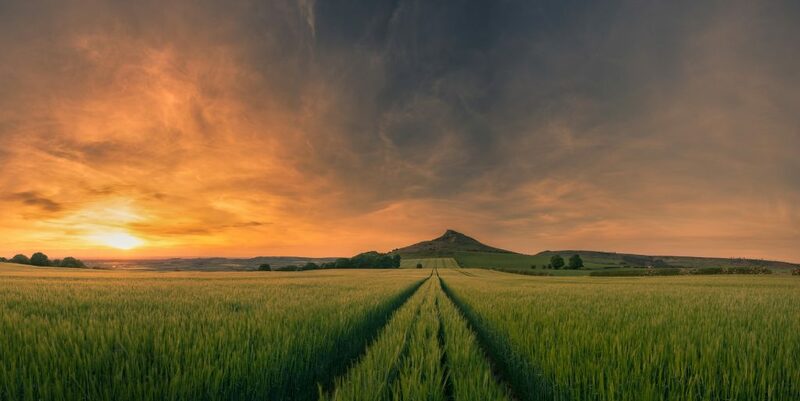 Route 1: A quick phone picture of Roseberry Topping and Little Roseberry from Aireyholme Farm’s barley field with a Samsung S6. 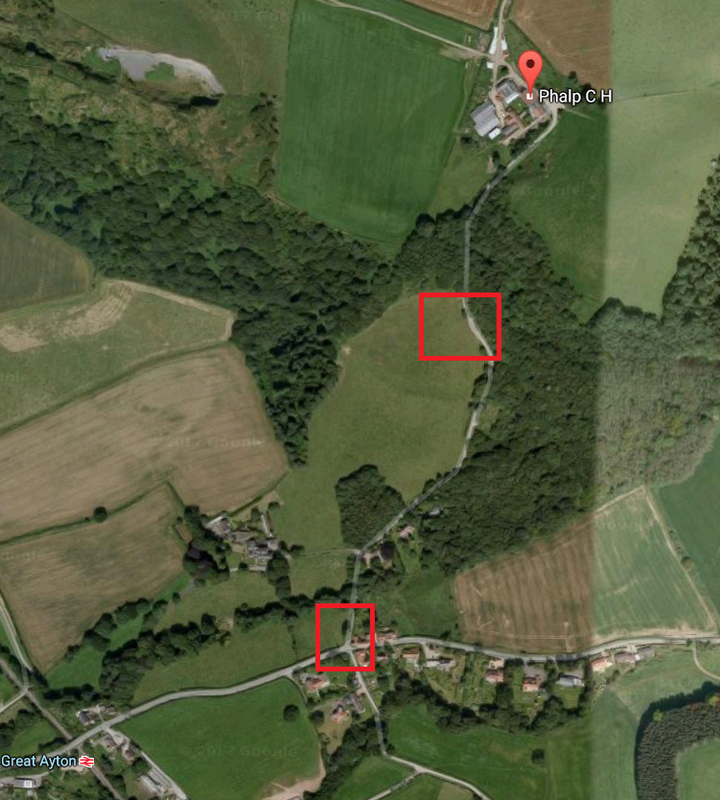 Take care around the quarry which has steep sides and sheer cliffs with no fences in places! 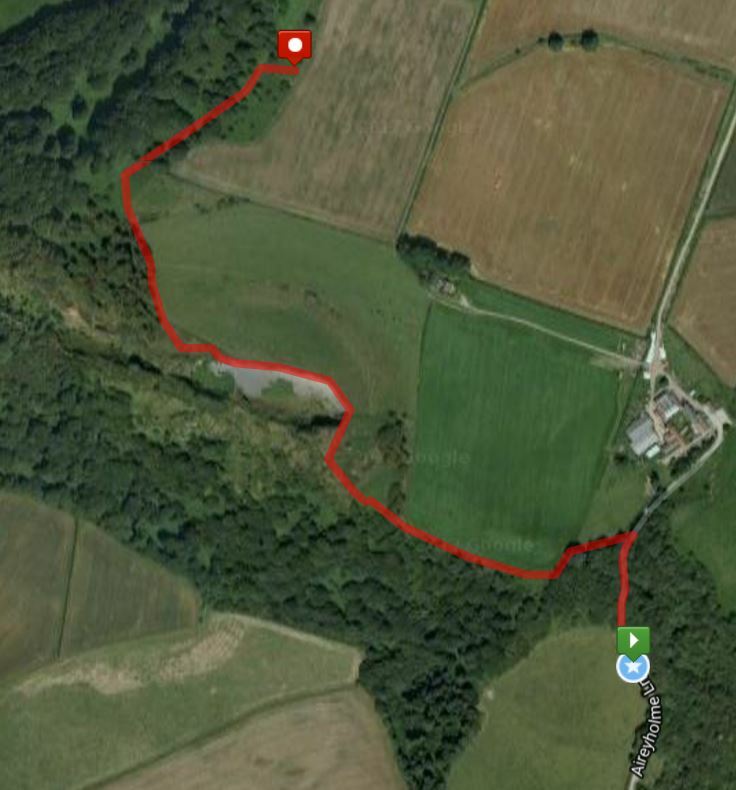 Cliff Rigg Quarry route – Steeper, could be best to return by this route! A serene sunset fading in to the blue hour from Cliff Rigg Quarry shot with a Samsung S6. The rising smoke is flaring from the Wilton site in Redcar. 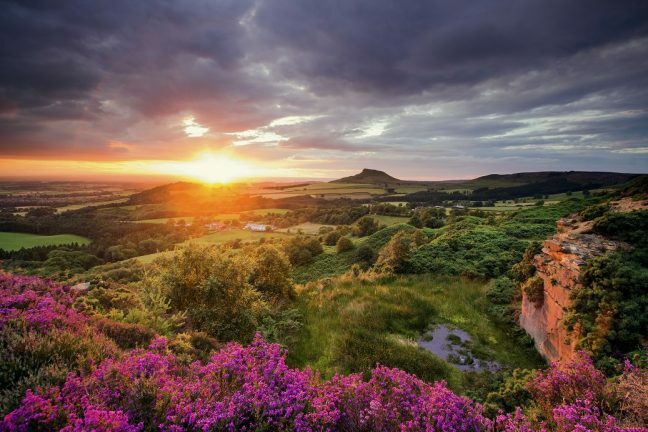 The hill around Cliff Rigg Quarry also has a lot of gorse which is stunning when in bloom in May, another photographer showed me a great photo he had captured of the sunset through the gorse over the quarry. A steep climb in Cliff Rigg Quarry Wood but well worth it for the view from the top! 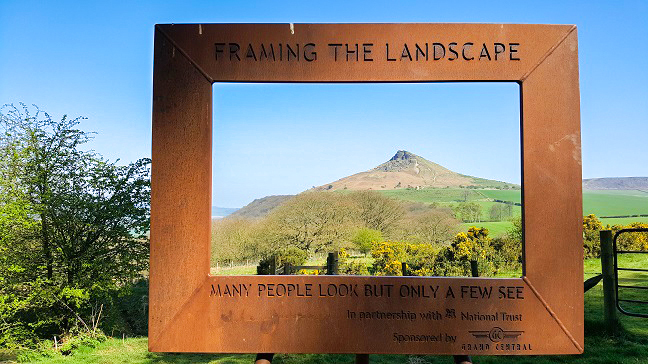 Both routes meet here at a sculpture made to make you consider the landscape around you, this comes naturally to a photographer but does it to all? 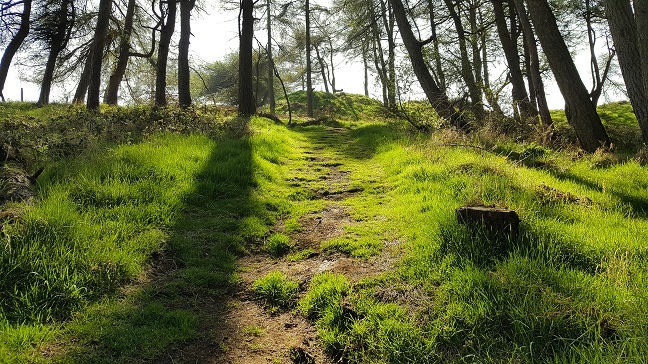 I took a walk up to check out the scene and to see how the bluebells were doing, it was still too early, whilst very pretty, the sky was flat blue and the bluebells were not yet at their best. The flat sky reminded me of my attempt to get a shot of this in 2016 which was met with clear blue skies every time! Still too early, the bluebells weren’t fully open. I instead turned my focus towards the hazy sun setting through the trees. After a week’s wait and having spotted a promising weather forecast of sunny spells with cloud I headed back out for another go. A number of togs were already on the scene and it soon became clear that we were in for a good sunset! I set up my tripod and tried a number of compositions, eventually settling on two. I attached my LEE Filter holder with a 0.9 ND hard grad filter and my 105mm circular landscape polariser. 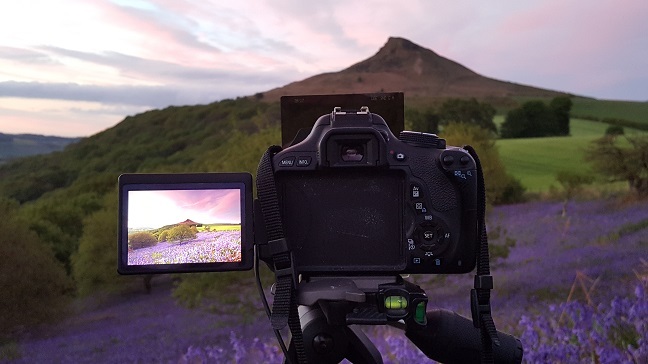 I adjusted the polariser dial in order to polarise the sky to maximum effect. 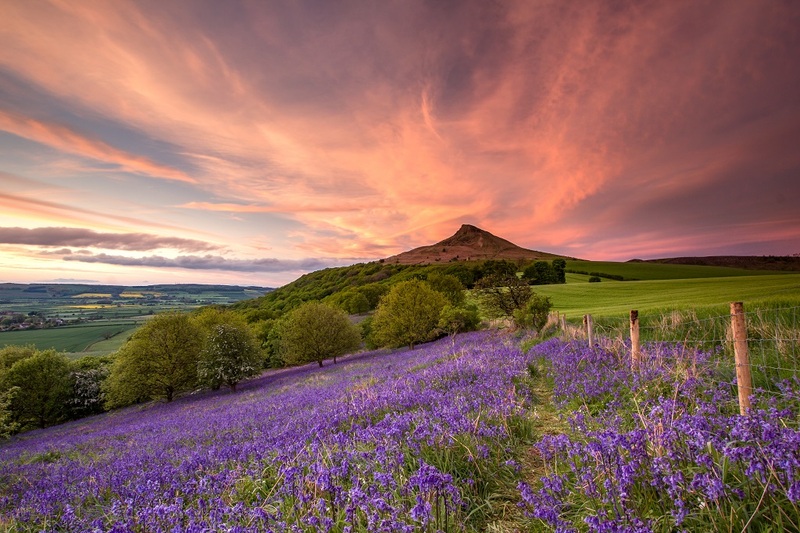 Sunset bluebells at Roseberry Topping, Newton under Roseberry, North Yorkshire. 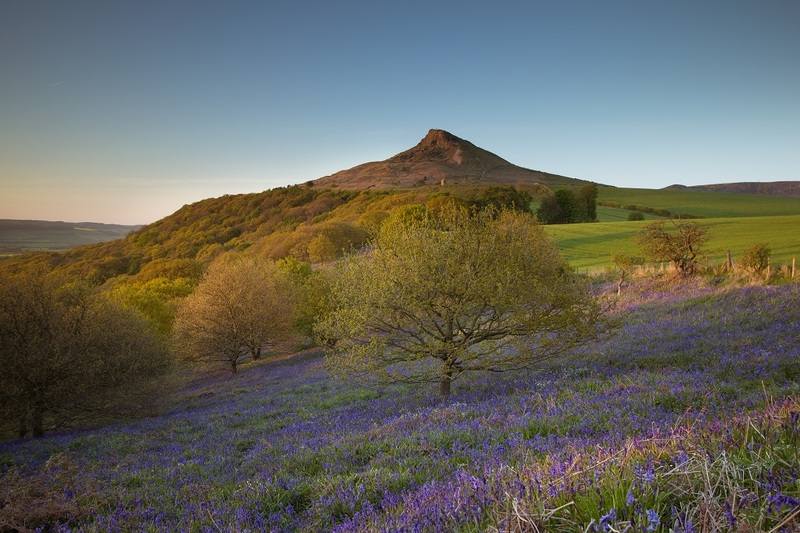 A more central view, the tree lining up with the shooting box and Roseberry Topping. I couldn’t quite get the image of the barley field out of my mind, seeing a nice weather forecast for Sunday evening I decided to work off some of the food eaten at a family barbeque and headed back up Aireyholme lane. Tractor lines in fields are a bit of a cliche but the lines drew straight up to Roseberry Topping and over a number of small hills for a natural composition. The farmer rotates his crops so it also makes for an ever changing scene each year. In previous years there’s been bright yellow rapeseed crops in the field too. 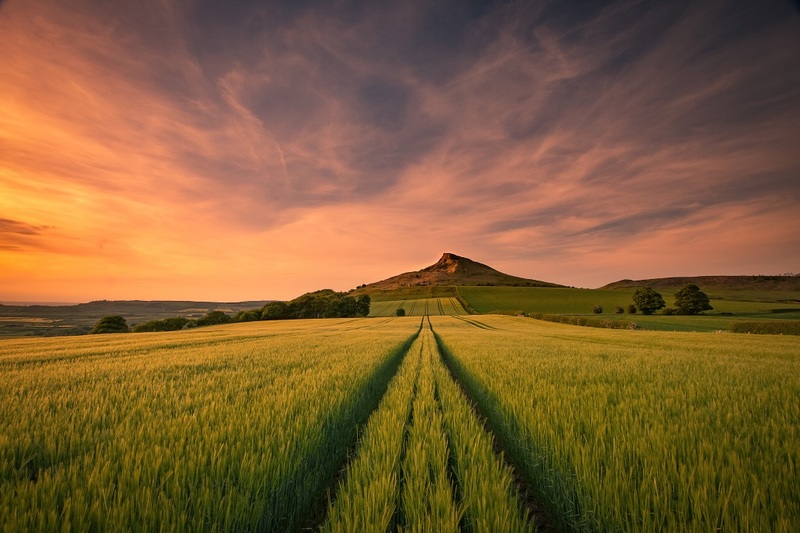 Sunset over Roseberry Topping from the nearby barley field. A five shot panorama stitched together in Photoshop using the Photomerge function. A beautiful location, one I will be returning to soon once the heather is in flower at nearby Cockshaw Hill.